Take home: an understanding of cosmology + tools & resources for the classroom, planetarium, & museum. 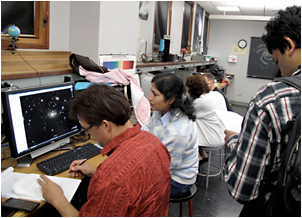 The KICP offers innovative professional development opportunities for museum and planetarium staff in the form of immersive three-day cosmology short courses. 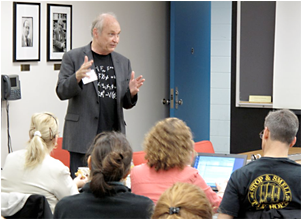 These courses, taught by center faculty and fellows, are a mix of lectures, laboratories, and discussions with substantial amounts of time allotted for informal interactions. By design the course framework was developed in collaboration with the informal education community to ensure that the experience will have a genuine impact at participants' home institutions. With an eye towards this, KICP also provide resources (e.g. visualizations), tools (e.g., software), and experts to consult with in the future. 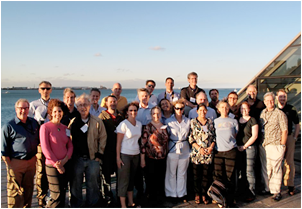 KICP updates course participants and the broader community on the latest research developments by maintaining and active presence at planetarium society meetings through keynote addresses, special in dome presentations, and focused workshops. Upcoming courses are broadly advertised (e.g., via the informal educator list-serves ISEN-ASTC-L and Dome-L). Participants come from a wide variety of backgrounds, from small institutions and from prominent museums (e.g., the American Museum of Natural History/Hayden, California Academy of Sciences, & Denver Museum of Nature). 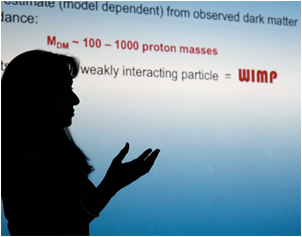 We also note that many informal educators are also formal K-12 and/or community college teachers and so these courses also function as teacher professional development (e.g., over 200,00 classroom students, 40% from groups underrepresented in the sciences, have been taught cosmology by course alumni). 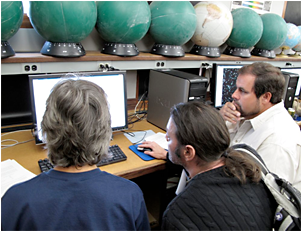 Over one hundred (100) museum and planetarium staff have attended a KICP short course. Courses are evaluated thorough a post-course survey, periodic summative evaluations and regular communication with alumni. 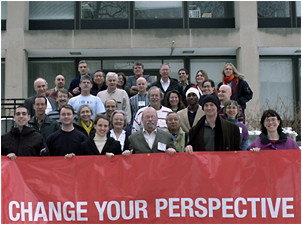 Past participants report changing what and how they present as well as creating new exhibits, galleries and shows as a direct result of their experiences at the cosmology short courses. 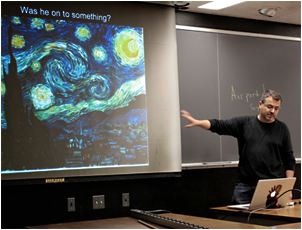 My experiences at the course made dynamic changes of presentation themes at the planetarium and in lectures such as, from Tonight Sky, Our Solar System or Constellations to Modern Cosmology, What is the Dark Matter?, Accelerating Universe, and the Origin of the Structure in the Universe. Thank you for a wonderful job. It is wonderful to have the opportunity to meet and hear current speakers & information in a setting where we can ask questions. This allows us all to keep current & provide accurate information on a current basis to students & the public alike. There are very few places to receive information like this at this level. The Short Course provided much needed clarifications of concepts, either poorly represented or previously not considered.